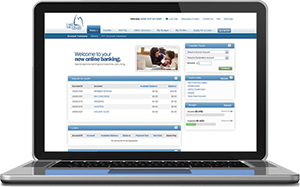 Did you know that you can customize the new online banking to fit your needs? Below are some tips to help you get the most out of the new online banking experience. You can hide modules that you do not use. To customize your online banking, click edit page in the top right corner, select the modules you would like to have displayed, and press continue. Set up a Holiday or Vacation account. Click on Other Services and then under the Share Maintenance icon, click on Open or Modify a Share. Under the Transfer tab, you can set up immediate, future-dated, or recurring transfers within your own account or to a stored member-to-member account. For any questions please click the chat icon on our homepage to chat with a representative, email members@lmcu.org or call us at (616 or 800) 242-9790.